The BBC is an international multimedia broadcaster on radio, TV, online and social networks with a weekly global audience of 320 million. As part of an historic and exciting expansion of BBC Africa, the BBC World Service is increasing its digital operation for the Swahili audience We are looking for a Digital journalist with excellent written and spoken Somali to join the team in Dar Es Salaam. BBC Swahili Service operates a digital first strategy, publishing content online and on social media platforms, this alongside producing radio news and current affairs programmes in Swahili. The service’s focus is to produce world-class digital content that makes sense of news and events in Tanzania and its neighbouring region for our local and global audiences. A career at the BBC offers you an opportunity to tell stories that can change lives and at BBC Africa it is our ambition to showcase the diversity of ideas and aspirations from across the continent. This new post will report to the Senior Digital Journalist and the Swahili Editor and work closely with the planning team. The successful candidate must also have first class communication skills in Swahili and in English. They should also be able to create digital content in multiple formats, in Swahili primarily and in English if required, and be capable of creatively engage audience with interesting storytelling angles and techniques for all digital/social platforms. To work across digital platforms to ensure the highest quality content is created for our audiences, and to make sure all content produced conforms to BBC values and editorial standards. You will be required to have a proven record of experience in all aspects of delivering powerful content in a challenging environment for multiple digital platforms. The preferred candidate, with training, should also be able to perform and present on radio and in front of a television camera. Will be required and must be willing to travel to other locations on temporary assignment as per operational needs. To create digital content in multiple formats, text, images, audio, video and to treat and promote digital content on our various websites and social platforms to service the needs of our audience. To produce accurate, informed and interesting news and current affairs, social and cultural content to the highest standards. This demands proven journalistic skills across digital platforms, good knowledge of the digital media market, creativity and flexibility, as well as a genuine passion for explaining the world to our global audiences. To report, present, research, write, translate, edit and adapt text stories, video or audio material for audiences on digital platforms and radio; good on-screen presence and broadcast voice an advantage. 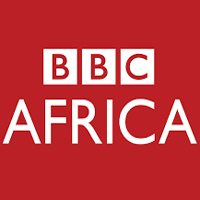 To liaise closely with other BBC Africa language team members, Newsgathering, reporters and producers across BBC departments to develop originally content. To offer ideas for programme content; to suggest new angles on existing stories and to put forward stories not yet covered. To be responsible for a moving story, amending and updating material as required. To be able to freshen a story and write interesting headlines. To be responsible for studio production as well as live social production. To provide content for other areas of the BBC including BBC WS Online and BBC News to enable the efficient production of content. After appropriate training, to be able to use a range of digital equipment and information technology to research, write, assemble, edit and deliver programmes in the appropriate medium, to the highest professional standards. All journalists may be required to work with or move to other programme teams on a multimedia basis and to have the ability to work across a range of skills and in a flexible manner, and to carry out these responsibilities in accordance with the BBC’s overall standards and values. To provide advice or file pieces, on occasions to other BBC outlets. A full command in Swahili language (written and spoken). An interest in the developments in the digital market in the Swahili area, in East Africa, in Africa and the world. A passion for International news, African and Swahili news and current affairs as well as history, social issues, business, arts/culture and sports. A good knowledge of what works on digital platforms for the target market. Proven track record of producing quality content, and proven editorial judgement. Ability to create content with accuracy, clarity and style appropriate to differing audiences and forms of media. An excellent broadcast voice and good reporting and presentation skills. Ability to also script write, edit and produce audio/radio content. Relevant experience as a journalist, both in originating material and editing the work of others, is highly desirable. An understanding of the BBC Africa’s distinctive news agenda and a wider interest in the strategy of the BBC as a whole. Editorial Judgement – demonstrates balanced and objective judgement based on a thorough understanding of BBC editorial guidelines, target audience, programme and department objectives. Makes the right editorial decisions; taking account of conflicting views where necessary. Planning and organisation – able to think ahead in order to establish and efficient and appropriate course of action for self and others. Prioritises and plans activities taking into account all the relevant issues and factors such as deadlines, staffing and resources.Communication – able to get one’s message understood clearly by adopting a range of styles, tool and techniques appropriate to the audience and the nature of the information. Managing relationships and team working – able to build and maintain effective working relationships with a range of people. Work co-operatively with others to be part of a team, as opposed to working separately or competitively. Flexibility – adapts and works effectively with a variety of situations, indiviuals or groups. Able to understand and appreciate different and opposing perspectives on an issue, to adapt an approach as the requirements of a situation change, and to change or easily accept changes in one’s own organisation or job requirements.